While Russia possesses dozens of icebreakers, including heavy types for polar duty in the Arctic and Antarctica, the US has only two such ships, among them only one heavy icebreaker, the Polar Star, with an ever-dwindling service life. 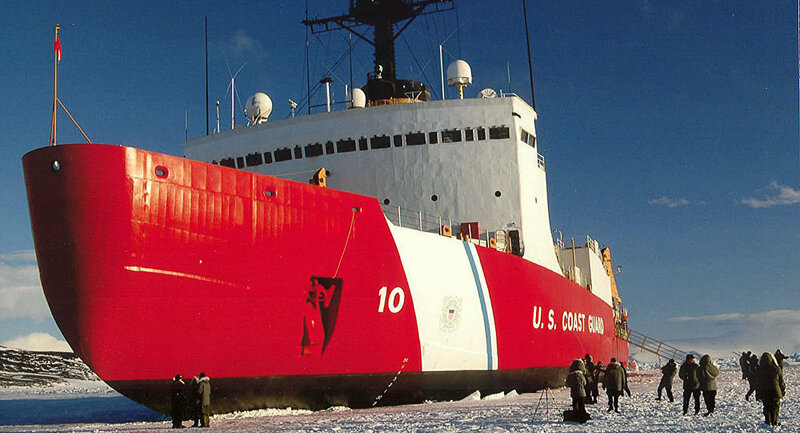 The US Coast Guard at one point decided not to conduct exercises in the Arctic due to fears that the Polar Star, the US' only heavy icebreaker, could break down and the American side would have to seek help from Russia, according to former Coast Guard commandant Paul Zukunft. He was cited by Business Insider as saying that when he was the commandant, the National Security Council notified him of their plans to send the Polar Star through the Northern Sea Route and carry out a freedom of navigation drill. "I said, 'Au contraire, it's a 40-year-old ship. We're cannibalizing parts off its sister ship just to keep this thing running, and I can't guarantee you that it won't have a catastrophic engineering casualty as it's doing a freedom of navigation exercise, and now I've got to call on Russia to pull me out of harm's way. So this is not the time to do it", Zukunft pointed out. He did not elaborate on when the drills were due to be conducted. Additionally, Zukunft underscored the importance of creating dual-use infrastructure in the Artic in order to support US national defence. "But the immediate need right now is for commercial [operations], and that was driven home when we didn't get the fuel delivery into [the Alaskan city of] Nome. At that point in time we were able to call upon Russia to provide an ice-capable tanker escorted by the Coast Guard cutter Healy to resupply Nome", he said, apparently referring to an incident in 2012, when Nome was iced-in and on the verge of running out of fuel. Unlike Russia, which has dozens of icebreakers, including some designed for operating in severe weather conditions in the Arctic, the US is in possession of just two such vessels. The country's only operational heavy icebreaker, the Polar Star, was commissioned in 1976 and refurbished in 2012 to extend its service life. Earlier, the US Department of Homeland Security said that at least $750 million should be allocated for the construction of a new heavy polar icebreaker in the new fiscal year, which kicked off on 1 October. Coast Guard commandant Karl Schultz, for his part, said that he remains "guardedly optimistic" about funding being available for a new polar icebreaker, as US lawmakers grapple with other spending priorities, including a wall on the US-Mexico border.